Hi everyone, it is James, Andrew’s eldest son. For those who do not know or do not remember me, please read my sit-down interview. I am very excited: my father has finally allowed me to write an article for his blog. I cannot believe this is going to be our own blog! As my first article, I chose to talk about the top ten video game urban legends. It was not that difficult to compile such a list: I got most of the material by listening to my father’s and his friends’ Retro Stories throughout the years. There are also some facts as a result of my gaming experience, anyway. Dad told me to write naturally and for myself, without trying to please anyone. He promised me that he would not change anything apart from any grammar or spelling mistakes. Such cousin obviously lives far away and cannot be reached in any way, shape or form. Okay, let us start, I hope everything will be fine. Legend has it that the only way to beat Ted Dibiase and Andre the giant (the tag team world champions in the game) is to bodyslam the latter three times in a row. Upon the third slam, a gaping hole would open up in the ring, thus swallowing the giant. This would determine the tag team champions’ defeat by forfeit or count-out (sources vary). I can safely say that this is not true. I have tried it myself for good measure and the ring does not break. The above mentioned tag team is hard to beat, but with a little patience and a lot of kicks and punches – keeping safe distance – you can make it. My father often recalls a time, when a guy he knew insisted on saying the legend was true. He was basically proven wrong in real time and ridiculed by the whole arcade. This is not the only case anyway, more on that later (Spoiler: the number 7 on this list). Another rule-of-3 urban legend. This beautiful olympic-themed sports game consists of 7 events, but on this list, we are going to focus on the third one, that is the vault (once known as vaulting horse). This legend has a basis in truth, namely making your player land head first and bounce several times. This bizarre landing will drop a chandelier to the ground and earn you 10,000 points, but you had better do that once you have qualified for the next event. The legend circulating in the ’80s went beyond and said that repeating the head-first landing three times in a row would unlock some new events, among them the marathon. If you are passionate about this game, just play it naturally, I assure you there are no hidden events. Actually, landing head first x3 will result in your player getting low scores, thus being eliminated from any Olympic events. In other words: game over! It is not the same episode, but it is the first PlayStation game my father ever played. It was hard to leave it out. To be honest, * Tekken is featured on this list also because its urban legends are countless. Among them, Lei’s story definitely stands out. According to this legend, the Chinese policeman would hide his service weapon in one of his trouser pockets and performing a mysterious button combo would allow him to pull it out and use it. Needless to say, Lei would defeat any of his opponents with a single gunshot. To be sure to not give false information, I beat the game with Lei by carrying out hundreds of different button combos, but his gun is nowhere to be found. Here is a funny quote from one of my father’s friends: “I thought this legend’s popularity was limited to our city… I was wrong! My father has already talked about Mexico ’86/Angry Football, but only because it is one of his favorite retro soccer games. Today, I am going to tell you about its personal urban legend. You have to know that in this retro game, goalkeepers can come out of the box with the ball glued to their feet, move forward and even score goals. Far from being a piece of cake though and this definitely fueled up rumors, back then. According to the most “credible” story, keepers’ coast-to-coast goals counted double. My father – who was and still is unbeatable at Angry Football – did not buy into that one bit and immediately changed his attacking strategy. For a few days, his trusted US team became more of a one-man army. All he did was passing the ball to his keeper and dribbling his way to goal. It was not long before his goalie turned into a goal scoring machine and it just so happened that he scored a hat trick before one of the guys who started the rumour. A keeper’s goal counted as one single goal, no extra prize, apart from the pleasure my father derived by embarrassing that liar. For the record, the guy tried to awkwardly justify himself only made a fool of himself and ended up getting kicked out of the bar to the cries of “Big fail”. This one does crack me up, even though it must have been a huge disappointment to all the kids from the 80s who fell for it (a lot and a lot according to my dad and his friends). According to this cruel urban legend, if you had managed to perfectly deliver newspapers to subscribers for a whole week – Monday through Sunday – on hard-way mode, you would have got a special ending. Right after beating the game, an Atari customer service phone number would have popped up on the screen. If you had called that number, Atari would have shipped you a brand-new BMX! Fast forward to the present, it would have been like winning the most expensive hoverboard in the world! Neither my father nor his friends have ever been particularly good at Paperboy, but they witnessed one of their then acquaintances getting a hard-way perfect run. When they realized it was just a hoax, the poor guy was about to faint down. Unfortunately, I am not that good either (I only beat the game on middle-road mode) so, in order to see the hard-way mode ending, I had to resort to YouTube. How can I describe it? Nothing that I had not seen on middle-road lol. And this is all for the gaming urban legends ranked from 10 to 6. I am currently writing the second part and I reckon I will be able to publish it next week. I would like to tell you all that I had so much fun writing this article. I hope it will be as pleasant for you to read it. See you soon for the second and last part, bye for now! LOL!! I completely forgot about a lot of those games and legends! My older brother was the gamer growing up. I remember listening to him and his friends go on and on and on about how to beat certain games and how to do “secret moves” to get past level … Can’t wait to see Part 2 and what games you list! My son is constantly online trying to get info on tricks to beat a game. Oh yeah, CONGRATS! Congrats on getting to write on your dad’s blog!! Thank you Jessica, I will try to do my best. I do not know what else to say, it is the first time I am directly replying to someone. Thank you thank you thank you, I am so glad that you left a comment, what a feeling!!!!!! I am not much of a gamer but have to say I really enjoyed your post well searching urban legends term in Google , I find your enthusiasm for sharing the top 10 video game urban legends and look forward to reading your next post . I will book mark your page and check back soon … when are you planning to post the second part of your article ? Thank you Rick it means a lot to me! I reckon I will be able to publish the second part by the end of next week. It is great to see you going online and good job on your 1st article. Sadly I remember some of these videos games. In fact I remember playing ping pong and asteroids when they 1st came out. How we have advanced since then! Thank you Tim, I am so glad you like it. I know the games you mentioned, my dad showed them to me long ago. Great write up, like the sense of humour expressed with the cousin scenario and shout out to your dad for encouraging you to be yourself at all times, there is no better advice for anyone in this time and age. To the gaming issues, much respect to the number seven legend. Can you imagine what it would be like if this happened in real life where a keepers goal is counted twice? I bet this will totally change tactics of the game.My regards to the other legends will talk to them later. Thank you so much Zuchii, your encouragement means a lot to me. Keep on following me, I will try to create a lot of engaging contents. Many thanks from my dad. Wow some of these games come when I was a gamer and that was a long time ago. Today’s gamers would have to bring out an entirely different set of skills to learn to play these games. Thank you Dale I am very glad that you liked it. Given that I also like today’s games I have to say that you are right. I feel so fortunate that my dad introduced me to retro gaming. What a cool article, video games are awesome! I am personally not allowed to have a console, however I have played on my friends before and it is quite entertaining. I think games are great for relieving stress and just having a bit of fun, as long as you don’t get addicted. Thanks for putting out a great article! Thank you Kohl, but I am sorry to hear that. I do remember your interview. Wow, that’s a great interview indeed James and it was inspiring. Some of those games brought my schooling days back and it was a great feeling and some great memories. I use dto play some of those games for 15+ hours in my friend’s house. There was a big gang and we needed to wait for our turn but we fought for our round ha ha ha golden memories. You are awesome James! Congrats on your first article and great job. I wrote my first article at the age of 35. I will also share your post with one of my friend who is gamer. Wishing you much Success and waiting for the part 2 post. Thank you very much for your comment Paul, you are very kind. I have similar memories, apart from the amount of hours. My father would never allow me to play for 15+ hours., not even 10 or 5. He has always told me “the magic formula for having fun is: play some, play often”. I am allowed to play 1,30 hours a day on a school day and 3 hours a day on holidays. It is not that bad anyway…. For instance when I play an rpg it takes me months to beat it and I enjoy it more. Thanks for your wishes, I will try to get better and better. Thank you very much, your compliments made me go red and now my sister is making fun of me. It is a pity that you do not have the time to play anymore, I hope your situation will change soon. I hope you will read and enjoy part 2 as well. Wow, these games bring back many memories from my childhood! Some of those Urban Legends I’ve heard about especially when it came to Tekken on the PlayStation (I’ve had many fond memories of that game!) and Paperboy, but some of the other ones surprised me! I had never heard about landing head first in Hyper Sports when you do the vault. I’m sure I would’ve tried that multiple times to get that chandelier to drop. Thank you for sharing these and I look forward to part 2! There is another game actually where you can drop a chandelier. I am talking about Track and Field, which is Hyper Sports’s prequel. I hope you will also appreciate part 2. Awesome first article James! I would not consider my self an avid gamer anymore but I sure did like to play some of these games when I was a child. I loved your anecdote about “my cousin told me so” but is nowhere to be found, that is hilariously true. And now come to think of it I heard that line many times growing up and may have even been guilty of using it once or twice myself. Haha but nonetheless, thanks for the great write up it was a pleasure to read your article, bringing back good memories of some of the awesome games we had growing up. Thank you very much David, I am glad that I made you laugh. My father would say that the “cousin bug” is a pandemic. Great article, James! As a gamer myself, as well as a mother, and a writer, I really enjoyed the read and look forward to reading part 2! I remember these games, and can’t wait to see which ones make up the rest of your list. Definitely brought back some memories that I now can share with my sons! Thanks! Thank you Cris, you said many beautiful things. I hope I will live up to your expectations. Congrats, this is a wonderful first article, you should be proud. I love your title “Top Ten video game urban legends – my cousin said so”. The games that are dinosaurs now were so much fun then when we were kids. I remember my oldest brother loved the Paperboy Arcade Game and was really good at it. I’m sure you’ll be a great blogger, I look forward to your next post. Thank you Vanna and thank you everybody I cannot describe what your comments mean to me. I wonder if your brother managed to beat the get a perfect-run, maybe you can ask him. I loved your article, and your dad was very smart to let you write it! My husband and I are very much into retro video games and even have our grandson loving a couple of them. We’ve heard about a couple of these urban legends, but were never good enough to try and see if they were true. Good to know that we didn’t waste much time on them! I also got a big kick out of the mysterious cousin who always knows everything, but can never be found, lol. It must be the same cousin who always gives tips about the latest and greatest stock that’s made him a fortune! Thank you very much Janelle, I am glad you and your husband are also retro gamers. The Big Cousin will return for part 2, do not worry. Thanks for the article, I really enjoyed reading it, it was amusing. Tekken has always been my best video game up to date, this post really brings back some memories. I would love to play some of this games again if I can find them. Thank you for the article, it was superb. Thank you Oloyede, I am glad that you enjoyed it. You can find the arcade games on this list on Amazon. They sell arcade machines or other systems featuring hundreds of arcade games. Tekken 3 is featured in the Playstation Classic, which was released two weeks ago. Thank you very much Koda, I will try to do my best! I also like Tekken, but my favourite Beat’em up is Street Fighter 2. Oh and Super Smash Bros too. Please do not forget that these are the legends ranked from 10 to 6. Maybe Part 2 will feature the ones you would have picked. Hello James – eldest son of Andrew – you had me in stitches. I musty say that I enjoyed the ‘preliminary intro’ before you got in the meat of the matter…great job. Truth be told, and yes, according to my cousin as well (LOL), I am not a big gamer but I do remember a few of the ones you spoke about. I had to ask my son too, seeing that these days, any game is a game as sometimes, children can get so easily bored. Thanks and i look forward to part 2. Thank you very much Michelle, I am glad that I made you laugh. I think that behind every great legend is a mysterious cousin. It will be a pleasure to write part 2, I realized I enjoy writing as much as I do gaming. Great list indeed. I haven’t played any of these games but from the way you reviewed them. Yes you were talking about urban legends but still you intrigued me. I fell in love with Mexico ’86, myself being a football fan and am used to play FIFA soccer video games, Mexico ’86 was an easy choice for me and I am really eager to get my hands on it. Thank you Ngonidzashe, I like Mexico ’86 a lot myself, it is a pure 80s game. I was not born at the time, but my father and his friends depict it as a very fun time to be kids. It is strange to think that they all went to the same place to play video games. You can get Mexico ’86 together with hundreds of other arcade games if you buy an arcade machine or a modern device – featuring arcade games – to be connected to your tv (far less expensive than the former). Amazon sells them. Hi James! You write better than me! That Tekken 3 is classic. I remembered it was street fighter and the graphic was so so but along came Tekken 3 omg the graphics was so much better and on a playstation 1. I played that game hoping to find out for the right combination for each character’s super blitz move. I had blisters on both of my thumbs lol. Eventually I invested in a book that told all the secret moves. Oh and yes the paper boy!! I always miss the front door lol I can guess your part 2 has to be super mario, bomber man, prince of persia or street fighter lol spoiler alert!! Brings back childhood memories, love it! Thank you very much Nuttanee you are very kind, but I think I have got a long, long, long way to go. I like Street Fighter more than Tekken, but the latter has incredible graphics. My dad says Tekken looked like a 2.0 video game when it was first released. I have never had blisters fortunately, but my dad had back then. There is a retro story in the making about it, I cannot say much. Keep following me to get to know my top 5! Your post is great with lots of cool images and graphics. I will be the first to point out and that gaming is not something i am into, however, it was an interesting read by including the urban legends in gaming. I am familiar with Playstations, not the differences. I will be sure to forward this site to those i know who are interested. I wish you much success with the Blog and page. Thank you very much, I am glad that I was able to entertain you and that you will forward our blog to other people. I hope you will keep following me. First, you certainly did an amazing job on your first blog, keep it up! I can, even though it is vague, still remember how these games were played with my friends, especially the #9 in your review that I sometimes played in an arcade. I personally didn’t own any of them but a friend had the luck to play these games we had almost every week a meeting in his house to play a game. Thanks for bringing back these wonderful memories appreciated. Thank you Sylvia, in this case I can relate to you as my friends often come over to my house or my dad and his friends arrange tournaments I partake in. I am very glad that you could recall some wonderful memories. Hello James. Your article returned me about twenty-five years back. If honestly, maybe I remember only WWF SuperStars (1989 Arcade Game) or something similar. I have a question. How could I play these games? Maybe it’s a stupid question, but It wouldn’t be bad to remember good old times. Thanks. Thank you very much Andrejs I am glad that my first article had an impact on you. Maybe you were talking about WrestleFestm which is WWF Superstars’ sequel. 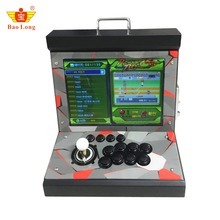 Like I said in a previous comment, you can get hundreds of arcade games , by buying an arcade machine or a modern device – featuring arcade games – to be connected to your tv (far less expensive than the former). Ebay sells them. It is a great question, actually: we are retro gamers, remembering the good old times is nice! I can’t believe that kids this young still play retro games like this! It makes me so happy. Even most gamers in their twenties and thirties have forgotten about these. I used to love Paperboy when I was a kid. It’s good to see that it is still around. Keep on blogging, one day you might become a gaming writer. Who knows where it will lead. You have a good start. Well done dad for teaching your son in the ways of gaming and blogging. You both should be proud. Thank you very much for all of your compliments Mel, I went red once again. I play retro games because of my father, but I do not see them old in the true sense of the word, as I grew up with them. I talk about it in my sit-down interview. It would be nice to become a gaming writer, but I have got a long way to go. Anyway I am having lot of fun, so, at worst it will be a hobby. Great first article James! I really enjoyed reading it! Thanks for sharing a good article to read to know more about video games, I have a grandson and I work with kids almost everyday. My grandson is 7 years old and he is a pro talking about video games, I have learned a lot about this topic from him! I’m sure I’ll be back to read more on your dad’s website, so hope you share a second and more articles here, I will show your article to the triples and to my grandson, I’m sure they will love to read about video games from another kid. Thank you Alejandra, I am glad that you found my article helpful. It would be really nice if your grandson could drop me a line here, we could talk about games and become friends. Hihi 😉 reading your post really made me laugh and brought a lot of memories of me playing these games when I was very young. I cannot believe how the gaming has really evolved over time. One of my favourite games was WWF SuperStars. It was amazing playing it with my brothers and cousin. We used to play this games for hours in a day. Looking back now, I somethings think, this game was way easier than it seems back then. Games in this modern times, requires you to think a lot and be creative. I thoroughly enjoyed your post. I look forward to reading the second part. Thank you very much Kuu, I am glad I made you laugh and brought back memories. WWF SuperStars was also one of my dad’s favourite games back then, because he and his friends were crazy wrestling fans (dad still watches it, actually). As for your statement about old games, I do not entirely agree with you: many old games have simple patterns for sure, but there are some whose gameplay and learning curve are unparalleled. Swos is maybe the best example. I will do my best to entertain in you with Part 2. I can actually remember hearing about the Hyper Sports ‘easter egg’ when I was a nine year old kid – back then this game was an absolute world beater and myself and all my friends loved it! I also got into the WWF Superstars game but this is the first I’ve heard of the tag team urban legend. Great article – brought back so many memories! Thank you Chris I am glad that you enjoyed it. The fact that you remember this legend means that it was widespread. My father recalls he played Hyper Sports in several arcades – even outside his hometown – and you always had to queue. I must say that I enjoy reading this topic and it was very fun to read. Honestly, I was thinking that it was something about scary because I watched a movie called “Urban Legends” and that is a true horror. I showed this article to my dad and he also enjoyed it even though he had never heard of them. Thank you Daniel, I am glad that you enjoyed it together with your father. I have not seen the movie you mentioned, I do not like horrors sorry, they scare me a bit. I wrote this article only to share a laugh with you readers. Video game urban legends crack me up because I try to imagine the faces of the people who tell them. Most of the times it deals with people who are not very good at video games, so they come up with some bizarre stories to look good. This also happens with some of my schoolmates, they are so funny! Oh man, do I remember the 80’s. They were magic days and I remember the old Gameboy. I never had an Atari but I played on the ZX Spectrum and the commodore 64, we didn’t have discs instead we had cassette tapes. But that last game “Paperboy”, I can’t say I remember the game but I can just imagine the look of the face for someone who completed the game on hard. Had to be classic. Thank you David, I am glad that I brought back some good memories. Regarding Paperboy, my dad says it was tragicomic. The guy who completed the game on hard totally bought into the Atari reward and burst into tears upon realizing he would not get anything. 30 minutes later he was still crying but felt very weak… He was really about to faint down. Long story short, my dad and his friends had to take him home and explain his parents what had happened. He just could not speak. He had trained months for winning a Bmx, he was absolutely heartbroken. I honestly had never heard of some of these! Great job writing this article! I am excited to see what games are included in the next part. You do a great job of describing your experience with each game and it is great that you have a shared passion with your father. I hope you continue to write as you definitely have talent and it is such a useful skill! You have left me wondering, however, if you have come across any legends that actually had truth to them. God Bless! Thank you very much Steve, your words made my day. I have a lot of fun with my siblings and my dad, playing together is part of our life. Hello James, Andrew’s eldest son. I can’t say I know a lot about gaming but I did read your first post. You did an incredible job. I think Andrew should hire you to write for him. Well, maybe not but you sure did a great job on this post. I wish all the best to you. You have a great future ahead of you. Thank you Laura, I am so humbled by your words. I am currently working on Part 2, Christmas holidays slowed me down. I appreciate a lot your encouragement and I hope you will comment on my future articles as well. FIrst of all, yay for the eldest son writing a blog post! Awesome! And thank you too! Second, some these games I don’t recognize at all but they seem cool! I esp silly like the tekken 3, thatts usually a game I would play myself. Retro games are the best! Reading this, especially coming from a young man like you really make me miss video games. Again thank you for the post! Thank you very much Alia, you are very kind. I am glad you found my first article entertaining. Part 2 is nearly ready I hope you will take some time to read that too. Ps. Greetings from my dad!